A YOGA + WELLNESS RETREAT is the perfect opportunity to disconnect from the stresses of daily life and reconnect with yourself. Nourish your body, mind and soul through intentional movement and healthy eating. Build a global community by giving back and gaining support from like-minded individuals. Treat yourself to an adventure of a lifetime by putting your "to-do" list on hold and genuinely tending to your own needs. You will thank yourself once you've done it, because these Retreats are much more than a vacation, they are an experience designed to help you recharge, rejuvenate, and re-inspire your entire being. Team up with Cait Lawson of Sunburnt & Salty for a yoga / wellness / adventure Retreat. Based out of Rincon, Puerto Rico - and willing and ready to travel - Cait is currently open to book Retreats as a Yoga Teacher or Retreat Co-Host for the second half of 2019 + 2020. Invest in your wellness with 5 days and 4 nights of recharging in Rincon, Puerto Rico with Cait Lawson and Malorie Tillero. Immerse yourself into daily wellness practices of yoga, meditation, journaling, mindfulness, local food, and connection with nature. 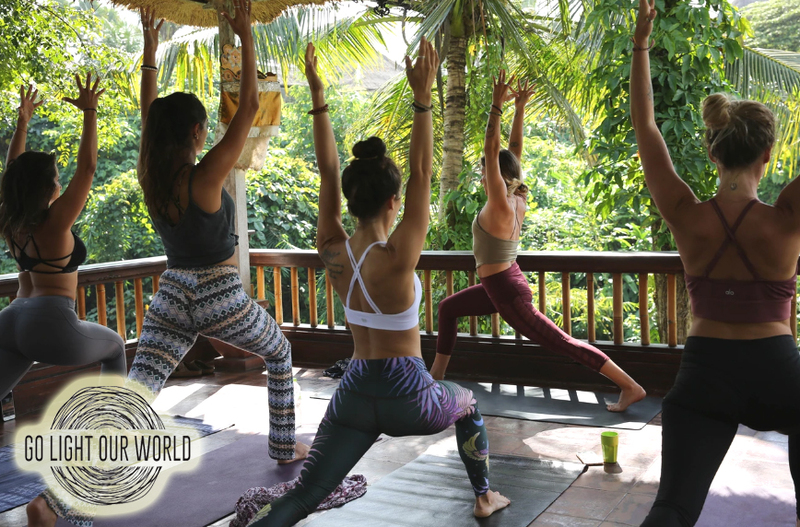 This Retreat is designed to help you hit the reset button and to reconnect with the greatest version of yourself all while having fun, meeting new people, and experiencing all of the healing beauty that Puerto Rico has to offer. weaves together adventure, introspection and connection on the sacred Island of the Gods. TRAVEL: Come visit me in RINCON, PR this May for the BUENA VIDA WELLNESS & YOGA RETREAT! Invest in your wellness with 5 days and 4 nights of recharging and rejuvenating the body, mind & soul in Rincon, Puerto Rico with Cait Lawson & Malorie Tillero. Immerse yourself into daily wellness practices of yoga, meditation, journaling, local food, and time spent with nature. Enjoy 5 days of beach-front living at our luxury villa, meet like-minded, new people, and experience all of the culture, fun, and healing beauty that Puerto Rico has to offer. Because for those of us who itch to see the world, surf perfect waves, and experience the beauty and diversity of other cultures, not traveling is simply out of the question. So, the question then becomes: How can we travel more mindfully? Within two weeks of each other, the Caribbean Islands were devastated by Major Hurricanes Irma and Maria. The Islands NEED our help as water, food, and supplies are running low. Here are 5 ways that YOU can help. Soul Seed Media has listed our upcoming SOLFUL YOGA + SUP YOGA RETREAT this March as one of the Top Retreats in the Caribbean! We still have a few spots left. Join us in beautiful Rincon! One of the most pristine, wave-rich stretches of coast here in Puerto Rico is under threat of being completely devastated by the proposed building of an unnecessary Mega-Resort + Casino. Bali is a place that had always been on my list of places to visit before I die, but it’s a place that also seemed so far away, so foreign, and somewhere that I didn’t think I was quite ready for… Not just yet. That is until, about a year ago now, I received an email from Go Light Our World Founder, Kayla Nielsen, that would change everything. Because words do hold power, and the words within these pages, to me, seem to be extra potent. I'M GOING TO BALI! WON'T YOU JOIN ME? Join us for 7 days and 6 nights of a balanced yoga retreat that weaves the introspective practice of yoga with travel, adventure, and cultural experience. 100% of the Proceeds benefit the Go Light Our World Solar Projects!